Zip on 6 different lines high in the tropical canopy. Partway through you’ll come to our newest feature, the thrilling “QUICKjump,” which gives the sensation of a “free-fall” while lowering you to the ground 40 feet below. (Guests may rappel down if they don’t wish to jump.) Includes a stop at our tree house for light snacks and refreshments. 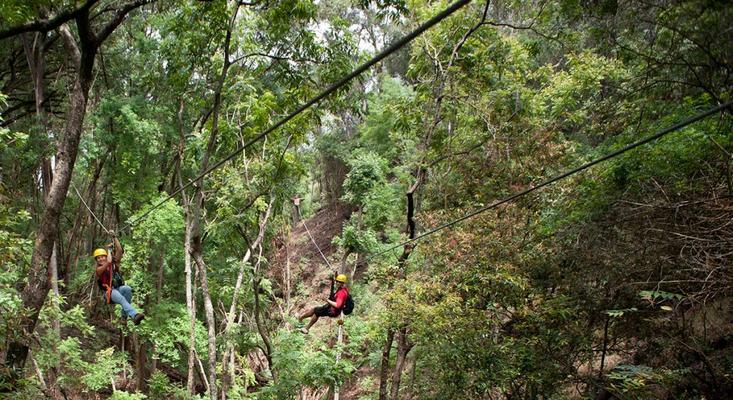 It’s a Piiholo zipline tour experience that you will remember for years to come. We are located in Upcountry Maui, a mile above the town of Makawao, on the lower slopes of Haleakala crater. The address is 799 Piiholo Rd. 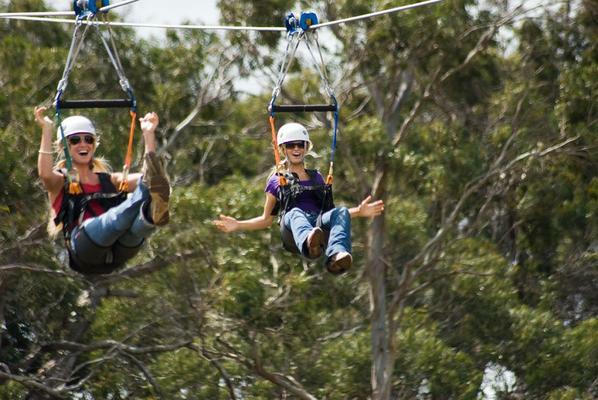 Our check-in for ZIPLINE, CANOPY and TANGO TOWER tours is at 799 Piiholo Road, 1.2 miles above Makawao Avenue. Get directions from our map. 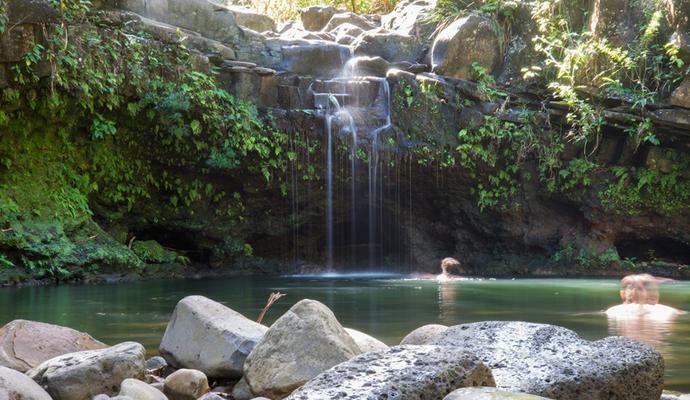 For the ZIP & WATERFALL HIKE COMBO tour, you will meet the Hike Maui van at the Kahului Park n’ Ride. Get directions from our map. If you are staying in S. Maui, we offer pick-up at your hotel for an additional fee. Closed-toe shoes are required. No Croc-styles, walking sandals with open toes, Vibram-type finger shoes, water shoes or flip-flops. Long pants are not required, although we do recommend capris or longer shorts for comfort. We are at 2000 feet elevation, so we recommend sunscreen and a light cover-up. Don’t forget your camera; just make sure it has a strap for safety. Anything dropped on tour is gone for good. Don’t bring purses, backpacks or large fanny packs; they won’t fit with your harness and we have no place to store such items. Age Restriction Minimum: 8 years old. 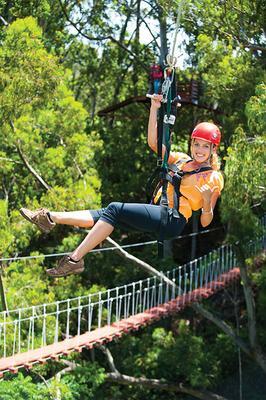 Age Restriction Maximum: None, as long as you can physically handle all aspects of the tours. 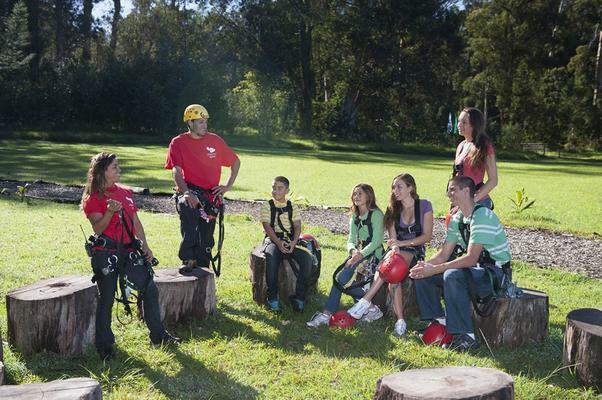 8 to 15 years old on Canopy tours – Parent or guardian must remain at canopy launch area. 16 & 17 years old – Parent or guardian must accompany youth to check-in and sign off on waiver. You must be able to walk over unpaved terrain, ascend/descend stairs and steeply-inclined bridges and ramps, grip handlebars and carry a 10 – 12lb trolley. 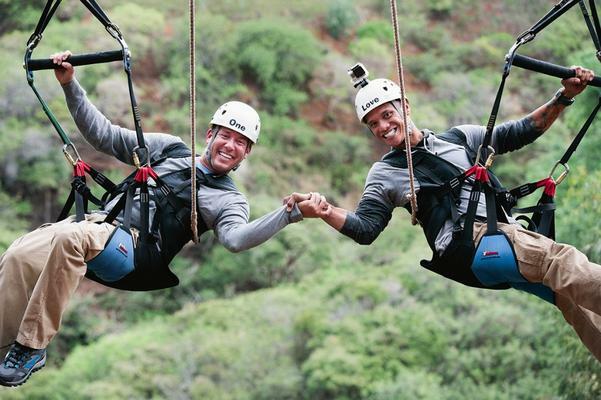 You must be physically and mentally capable of following instructions given by Piiholo Ranch Zipline staff. We are able to accommodate deaf, blind or physically challenged individuals in most instances; please call us at (800) 374-7050 for more information. Looking for adventure? 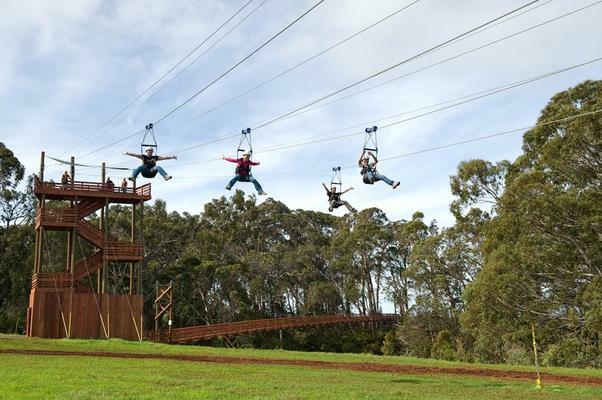 Look no further than our Six Line Treetop Zip Tour. On this tour, you’ll ascend into the jungle’s canopy and explore the beautiful tropical forest from a brand new perspective (and height!). 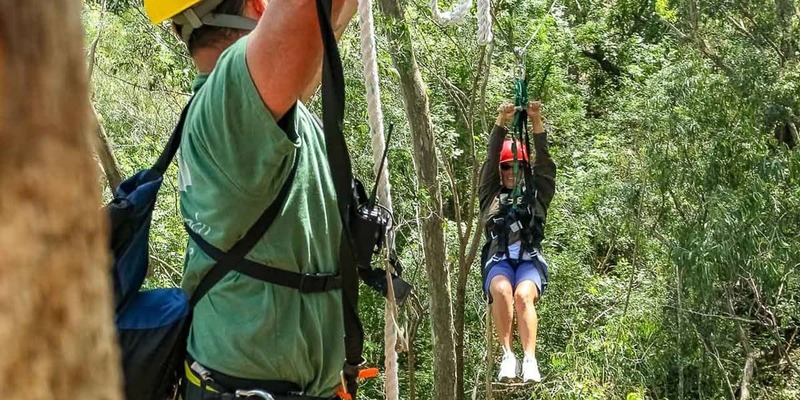 Along the way, you’ll stumble upon a Pirate Tree House, cross aerial bridges, plunge down 42 feet on our new QUICKjump line, and finish with our longest line, the 930-foot zip line. 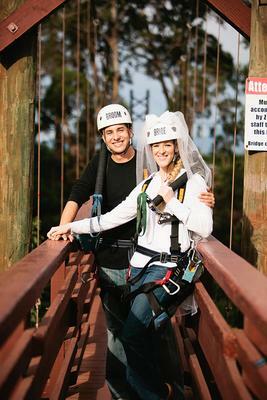 A zipline tour consists of a number of high tension cables stretched between trees or poles along a downhill course. 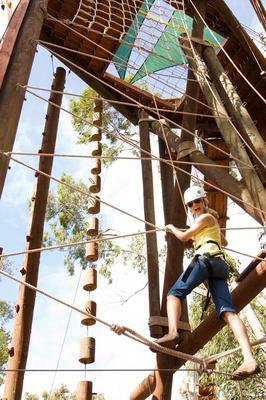 Participants are connected by pulleys to the line and “zip” from one platform to another. Some tours have higher or longer lines than others with differing gear (seated forward or free turning) and can include differing landing platforms and stopping devices.